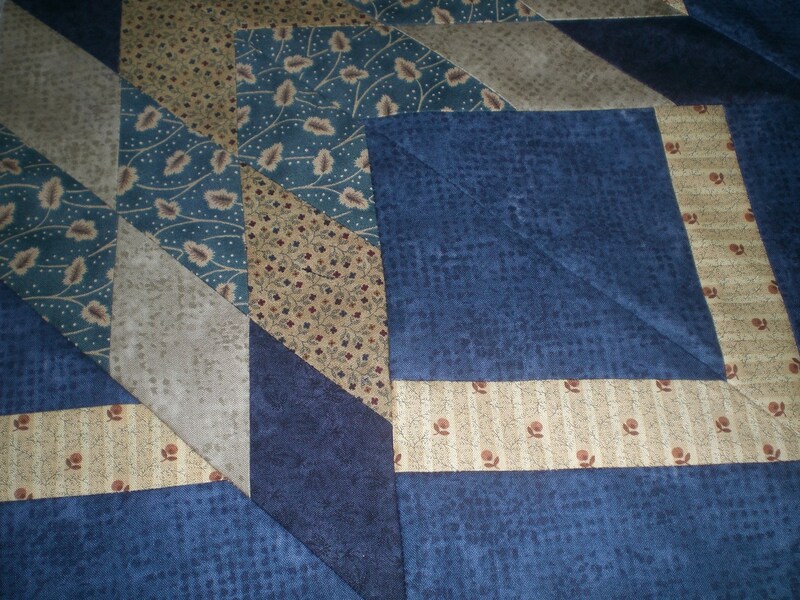 If any members have any photos they wish to put on to the site please contact Jill Gray. 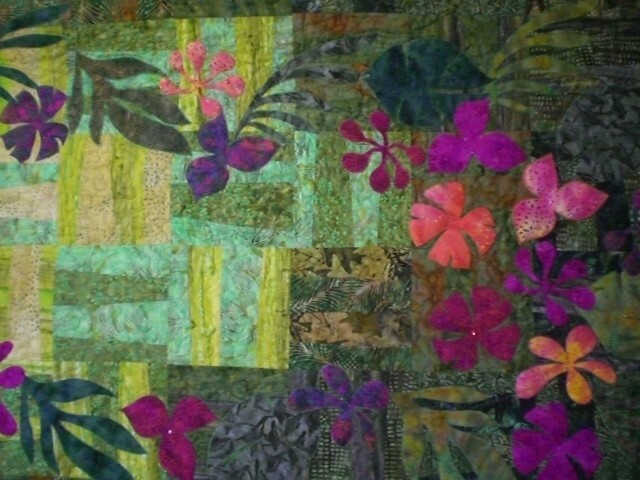 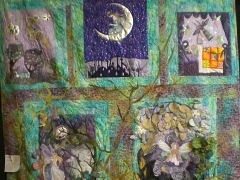 A first for Forest Quilters…Congratulations to Vivien Little who is our first member to receive two awards at the 2012 Festival of Quilts at the NEC Birmingham. 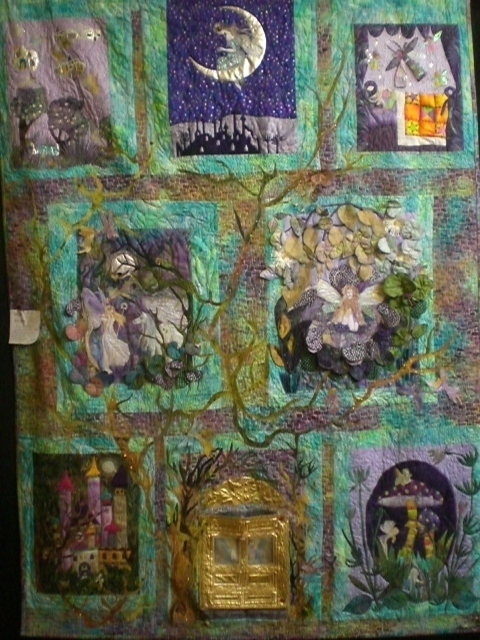 Vivien entered her beautiful quilt ‘Take a Chair’ into the art quilt category and was awarded Judges Choice and Highly Commended. 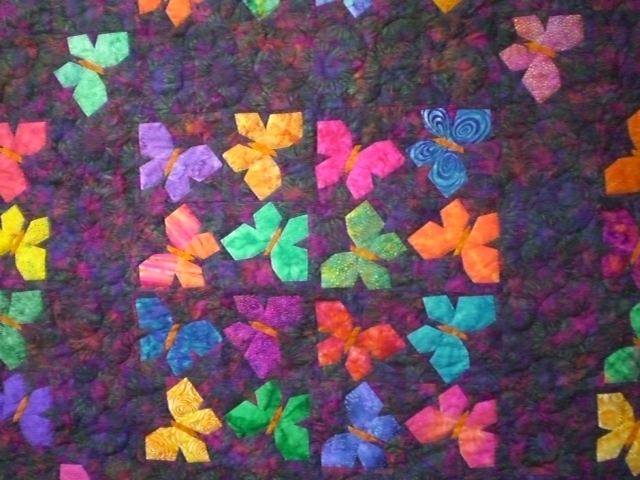 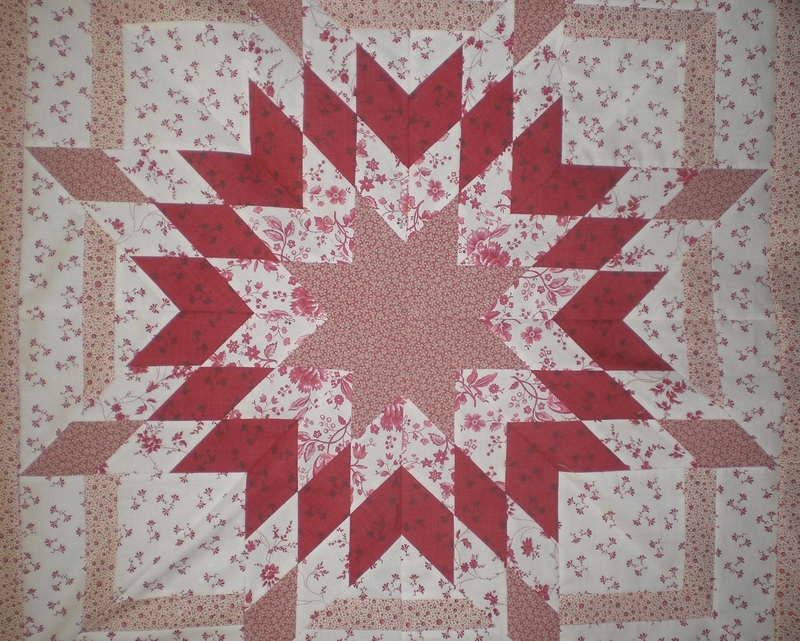 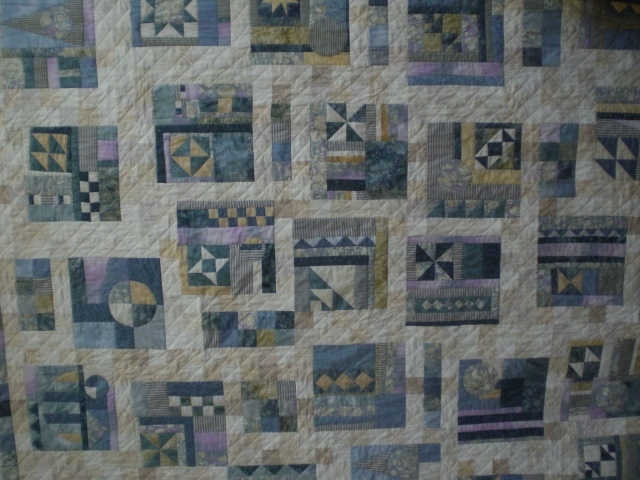 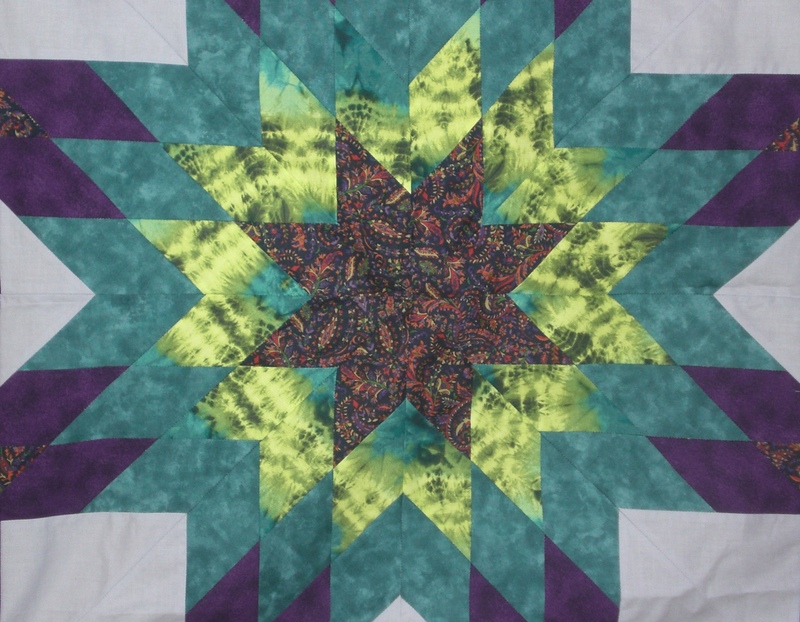 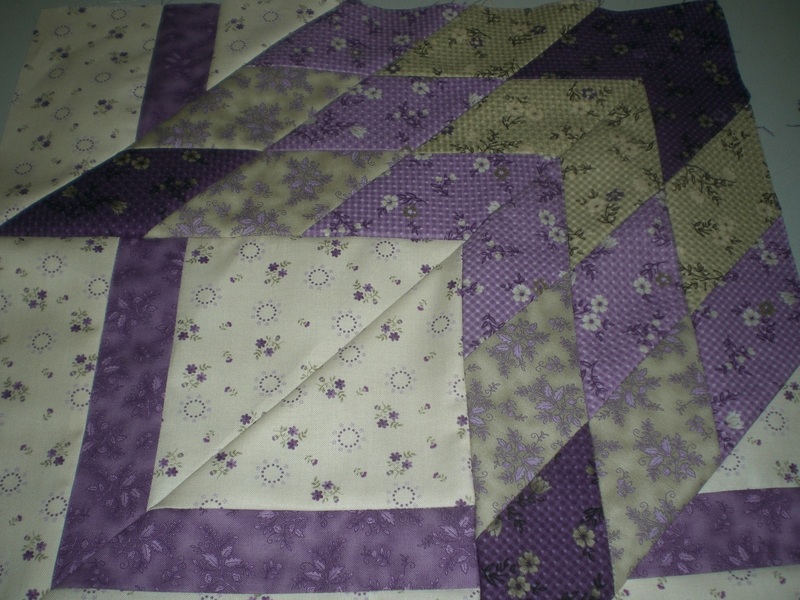 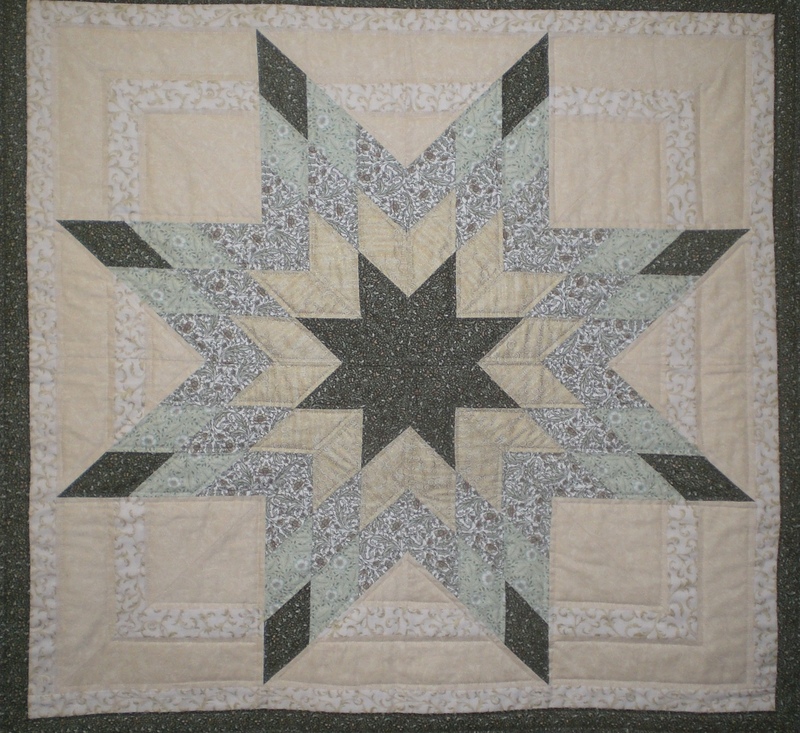 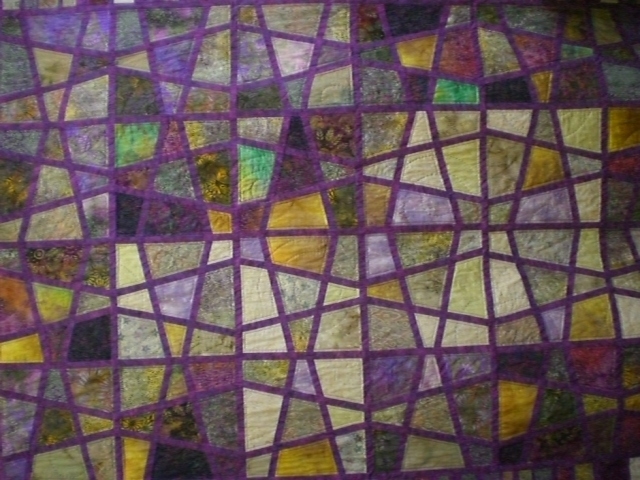 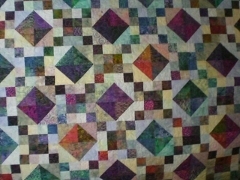 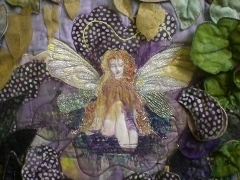 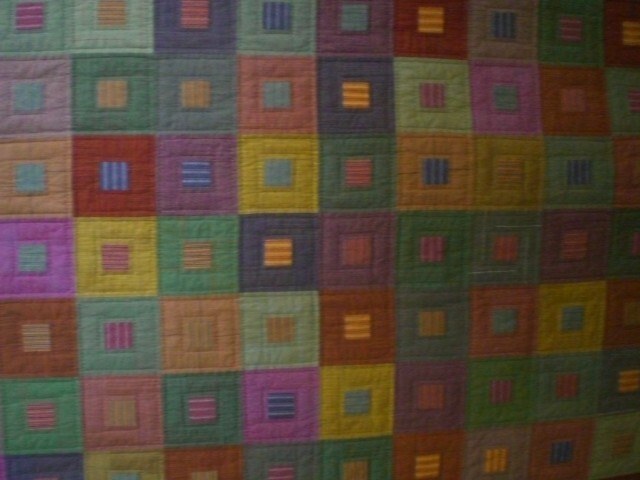 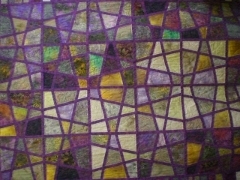 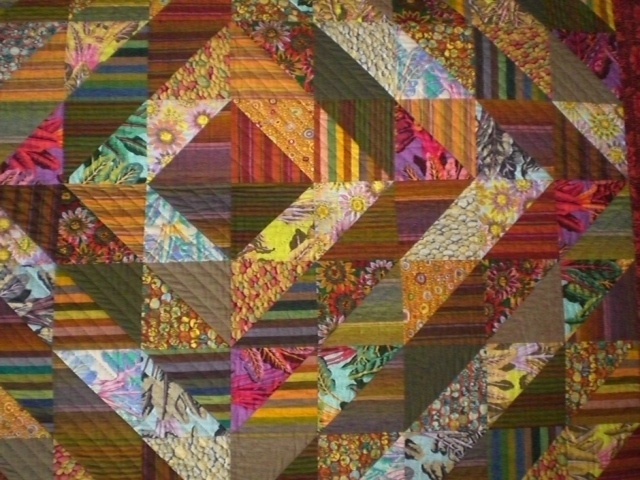 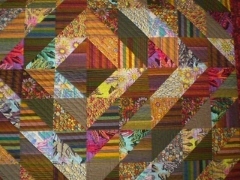 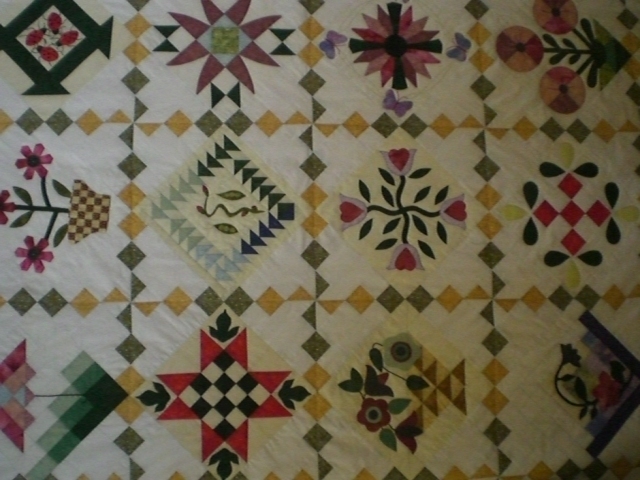 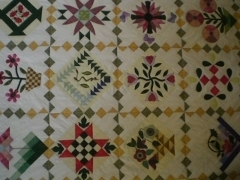 Vivien’s quilt deserves close scrutiny as it contains many techniques and processes. 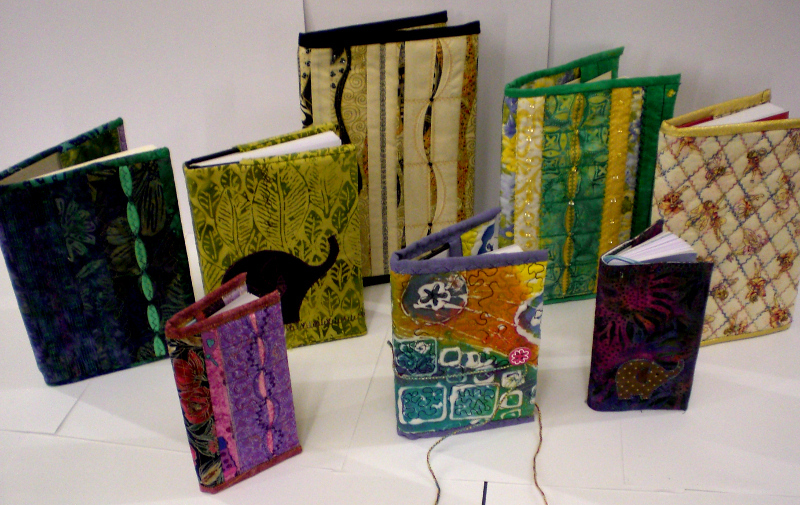 It started life as a recycled cotton bed sheet, hand painted and screen printed with a variety of different chairs. 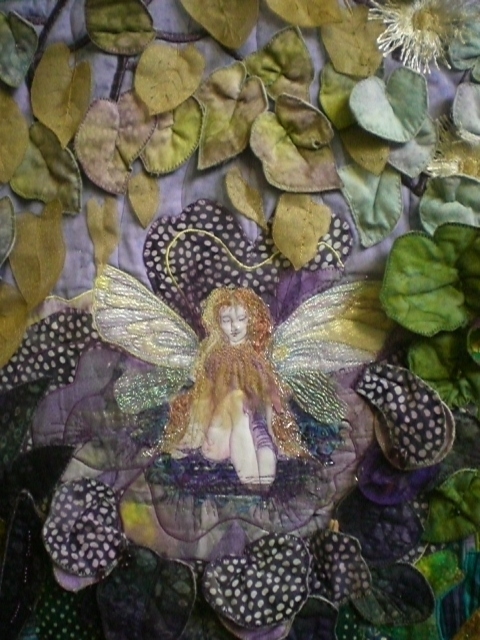 Cleverly Vivien enlarged some of the images in cotton and sheer fabrics and appliquéd these to add scale and variety to the piece. 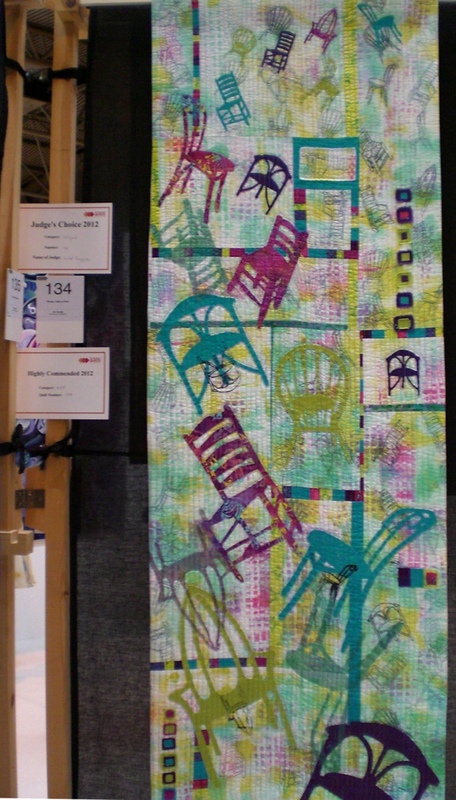 The inspiration for ‘Take a Chair’ came from her son, a furniture designer who commented on the fact that chairs are complex and difficult to make due to so many features one must consider. 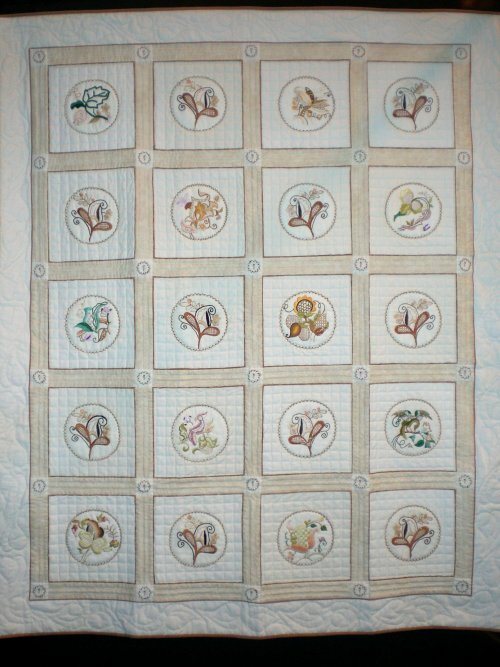 This assumption made Vivien look a fresh at such a common everyday object and more importantly prompted such an innovative work of art. 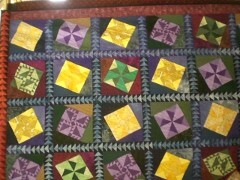 Two of our members entered the festival of quilts. 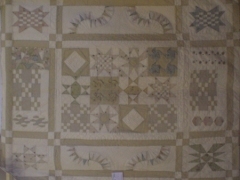 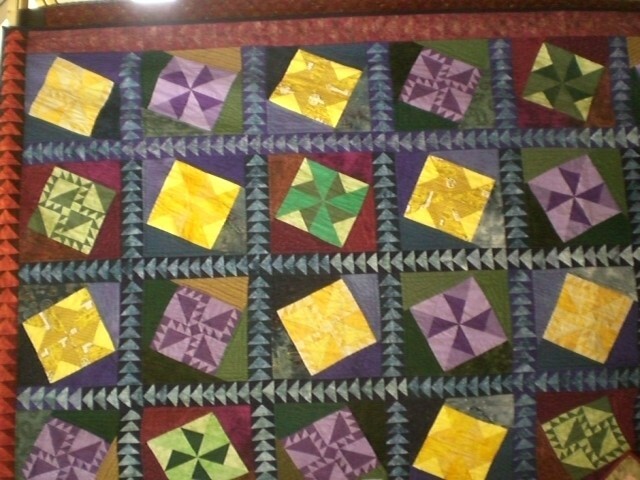 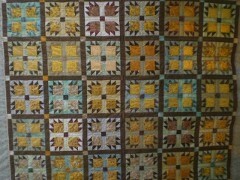 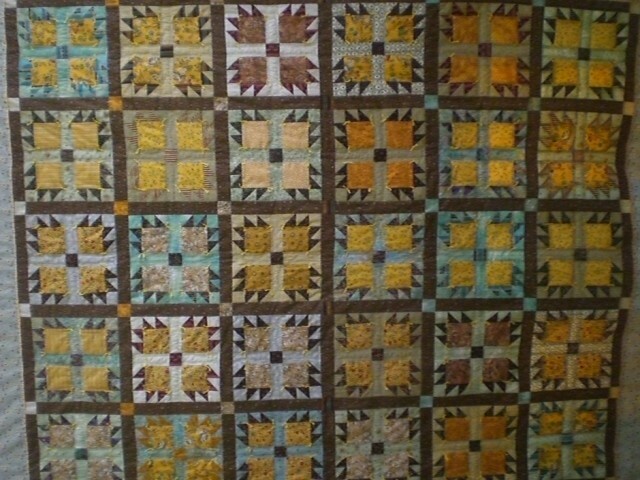 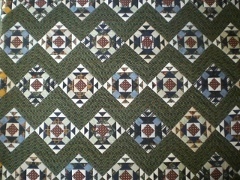 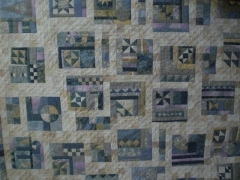 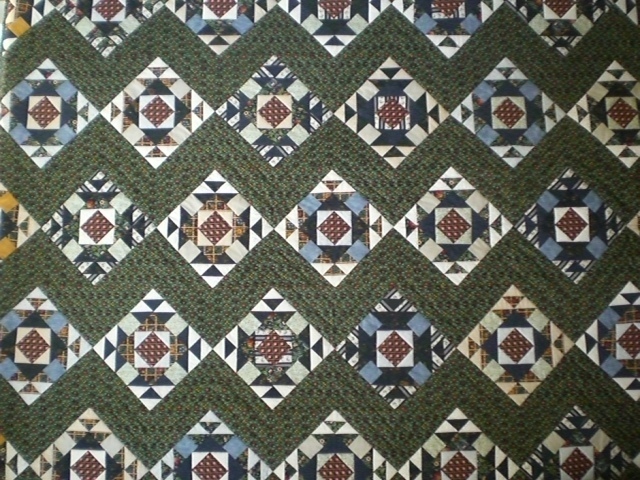 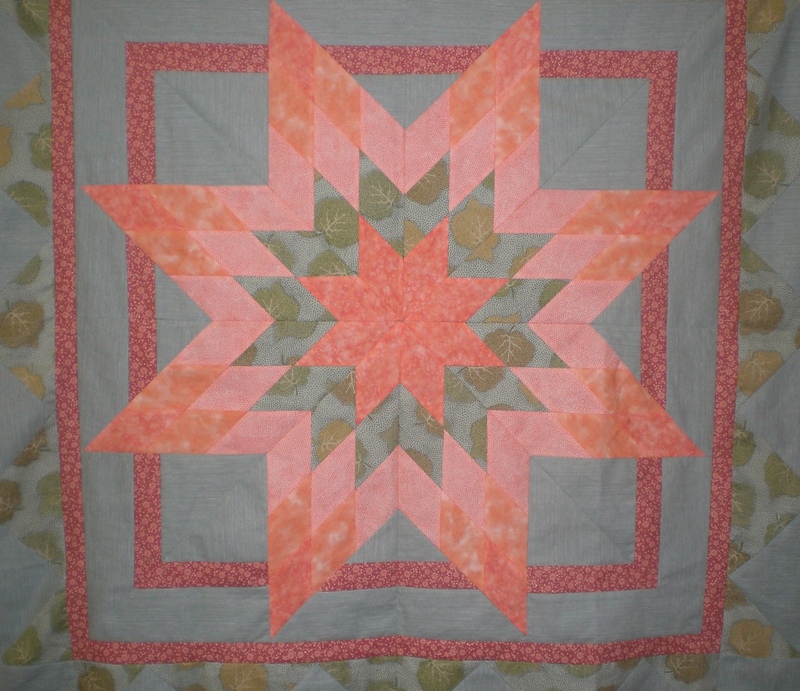 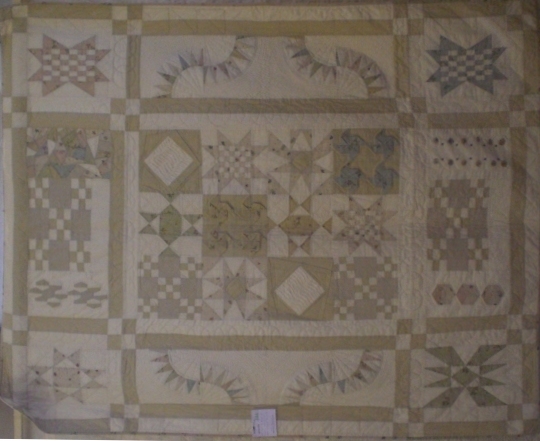 Displaying exceptional quilts. 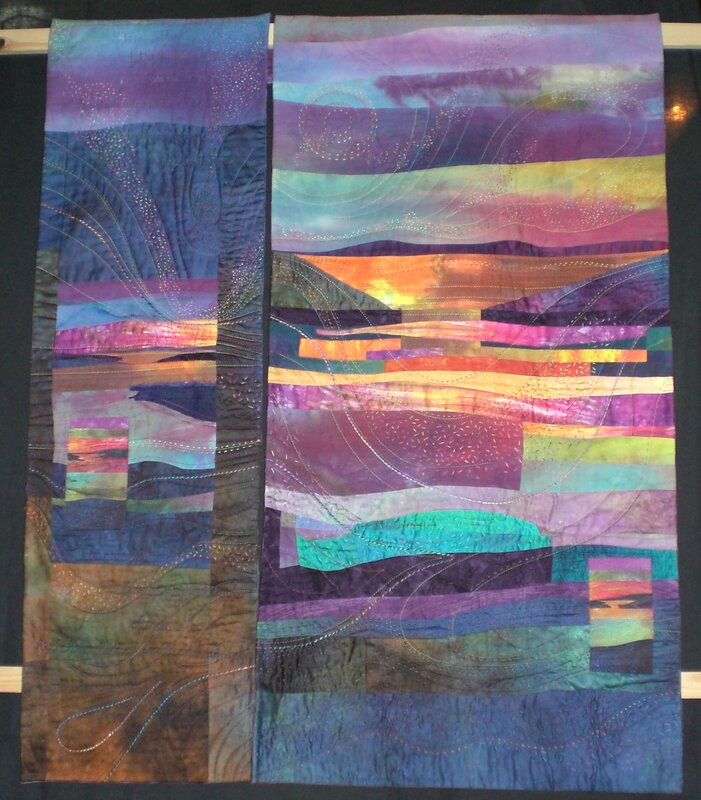 Judith Hill’s spectacular wall hanging inspired by dramatic views of Scotland (left). 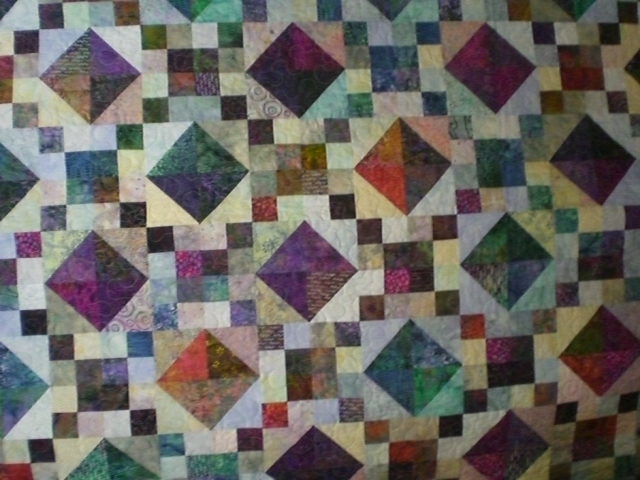 Julie Preece, a beautiful traditional quilt, each block is hand embroidered and set into machine latticed frame work (right). 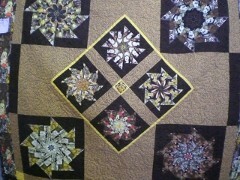 Congratulations to both members.